Map Screen - where you choose what planet to attack? 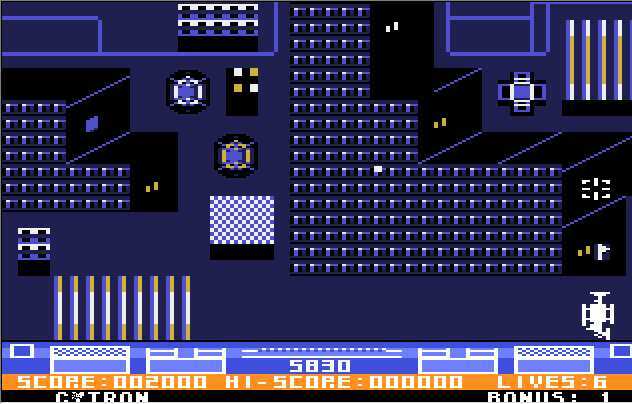 This game was developed in Dunedin, NEW ZEALAND on a part-time basis. 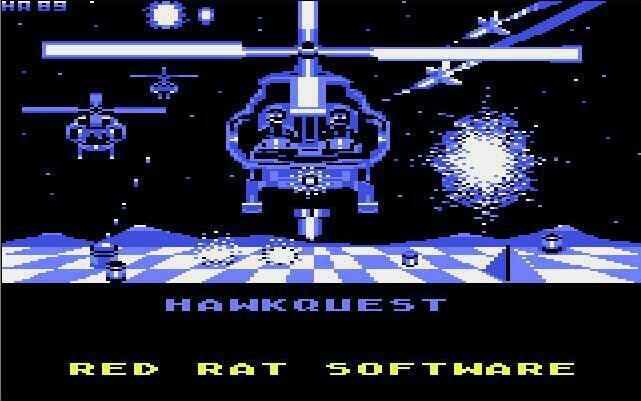 It was hot on the tail of "Laser Hawk" - a sideways scrolling shooter, which was released in 1986. 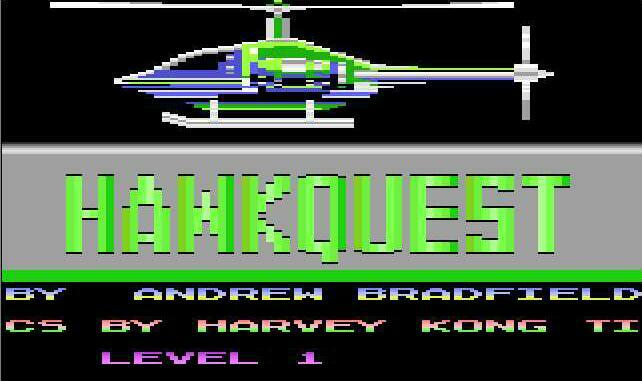 HawkQuest was released in 1989, in England. The game design was jointly deceided upon by Harvey Kong Tin and Andrew Bradfield. 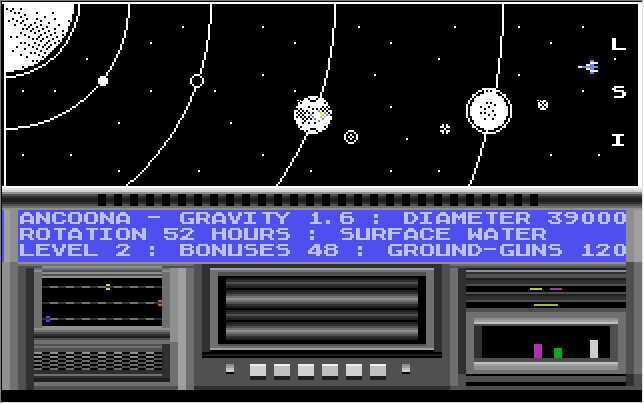 Harvey insisted upon the two-game concept which resulted in a game that took up 4 x 90k disk sides = 360k of data. 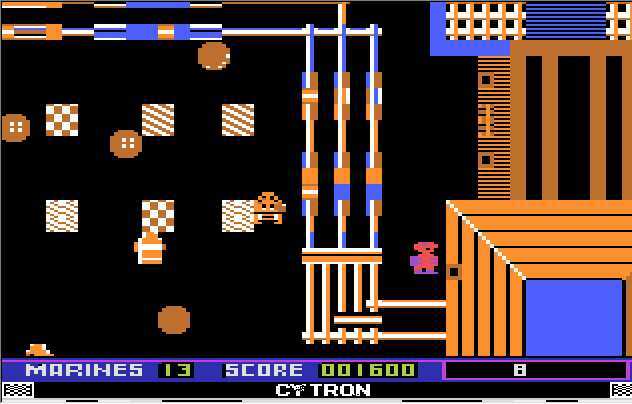 The game program was designed to run within 48k for the Atari 800 computers, and can only run on PAL computers sorry. The reason being the Vertical Blank period was used to the maximum - PAL computers run at 60Hz, allowing more processing time over NTSC computers. Social Volleyball.... ----------------- Social Volleyball FAQ - almost every question answered?